India was up against Afghanistan, only for the second time in the history between the two sides. It was a dead-rubber in reference to the Asia Cup as India went in with as much as five changes. While Afghanistan was already ruled out of the tournament after losing two consecutive games, came out with a fearless approach to go all guns blazing against the Indians. India was led by MS Dhoni in the absence of their first regulars. It was a rampaging start for the Afghans until Indian spinner pulled things back with four quick wickets. However, Mohammad Shahzad continued his own way to bring up his first ODI century against India and propel his side to a total of 252 runs. In reply, India looked in all sorts of comfort as they began their chase with ease. 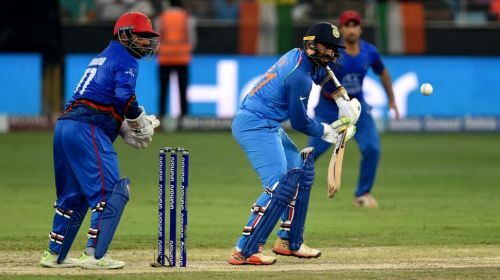 A 100+ opening stand saw India on course before Afghanistan struck twice in quick succession to pull down the scoring rate. Some umpiring decisions that didn't go India's way, the men in blue were in a state of little bother but at the end, Cricket was the ultimate winner as the match got Tied on the ultimate ball of the game. 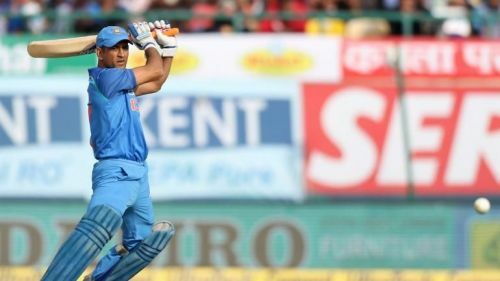 It was an occasion of delight for the Former Indian skipper MS Dhoni, who took the charge in the absence of Rohit Sharma and Shikhar Dhawan. It was for the 200th time that Dhoni was leading the Indian team in ODI cricket. With this, he became the only first Indian to achieve this feat. There are only two players ahead of him, Stephen Fleming and Ricky Ponting, who have captained more matches for their respective teams. Dhoni is way ahead of next Indian, Mohammad Azharuddin on this list with 174 games as skipper of India in ODI cricket.